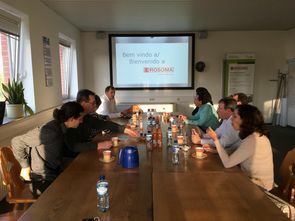 Fabian Bröcker, managing director at Rosoma (http://www.rosoma.de/content/pages/en/start.php?lang=EN), welcomed participants from Brazil and Peru for the last visit of the delegation, after almost a week in Northern Germany. September 20th, 2018 was the day to know the whole range of product and services delivered by the around 75 employees of Rosoma, from the fishing port of Rostock (www.rfh.de) to customers worldwide. Visitors could see the whole production site of dedicated systems for rationalization and automation, starting from the planning and engineering offices to the manufacturing and assembling facilities. 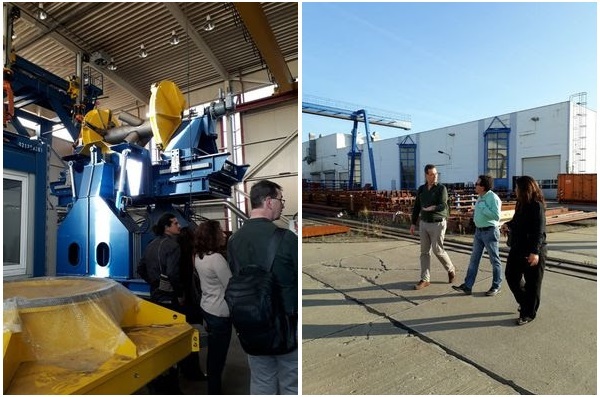 Bröcker explained that "Our expertise on complex systems is not only dedicated to machinery and plant equipments for the food industry, including software, trolleys, cooling, freezing and fermentation equipments, but also in the field of cleaning equipments and environmental technology". Since 2012 Rosoma is part of the IMG group (https://www.img-tech.de/en), also a worldwide leading system supplier and engineering service provider for complex plant and transport technology. 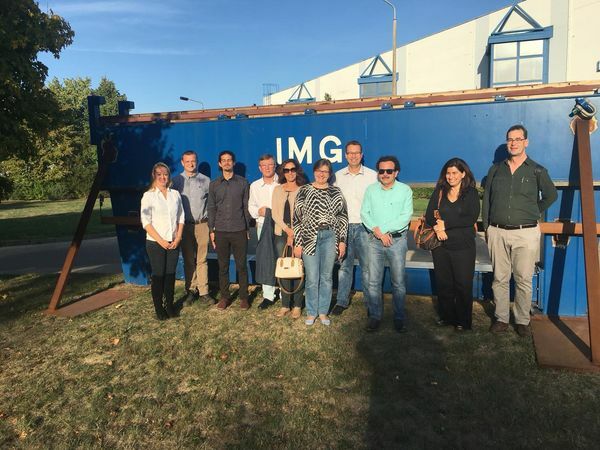 Visitors went also to IMG's premises located at the same port, greeting as well IMG's managing director Stefan Säuberlich. Olaf Griebenow, product manager at IMG and manager of the Rosoma project, states: "The expertise of IMG serves industries in the fields of shipbuilding, machine construction, structural steelwork and wind energy. Here the delivery of innovative products and procedures arises continuously as a result of comprehensive R&D work, which makes up 9% in relation to total output." 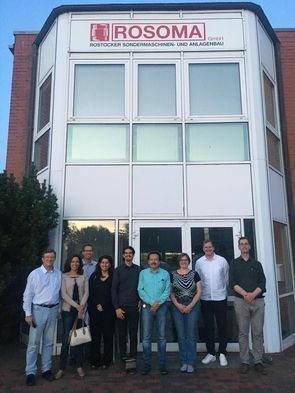 "We are impressed to see, how comprehensive is the approach of Rosoma in the field of food, not only fish, processing" expresses Dr Marcus Seferin, coordinator of the Bachelor Program Food Science and Innovation at PUCRS, Brazil. Seferin continues "I am sure that all participants have the same opinion. It was a very intensive week , full of achievements of our common project aims". After the visit, dinner was taken with all participants at the historic Port of Rostock. Viviana Munguia Monterroso, head of the International Project Office at Pontificia Universidad Catolica del Peru PUCP, on behalf of all participants, thanked the great hosts for the wonderful and fruitful week!